It doesn’t matter if you are single, a couple or a big family. Anyone can start using these simple tips today and save money on groceries, while reducing the amount fresh food waste. Over the past few months I have been trying to spend less a week on groceries while feeding the family three wholesome nutritious meals every day. From what I have learnt, $60 a week can go a long way for a small family ($100 for a family of 5) even when buying a few organic things and sourdough! Sounds boring, huh? It can be if you’re choosing to have Lasagna 52 Mondays a year. But not having a clear idea about what you’re going to cook for dinner for the week coming is probably one of the biggest contributors to blow-out budgets and extra food waste. Menu planning is key. It will help you avoid impulse buys and buying bits and bobs you’ll never use… Variety within your plans makes sticking to them that much easier. And more delicious. These $5 Menu Plans are awesome – all for a cost of an inner-city large latte. If you ask me, definitely worth the savings that come with it. Check your fridge, pantry and freezer for foods you may already have; pasta, rice, quinoa, canned or dried beans and legumes, canned fish, sauces, eggs, fridge and freezer veg and meat. Make a list. Stick it to the fridge and plan a couple of meals around the foods you already have. Cross out whatever you’ve used to make the exercise easier next week. It’s true! Most ‘no frills’ and supermarket brand products are manufactured by the same folks who make the branded stuff, only it’s cheaper. 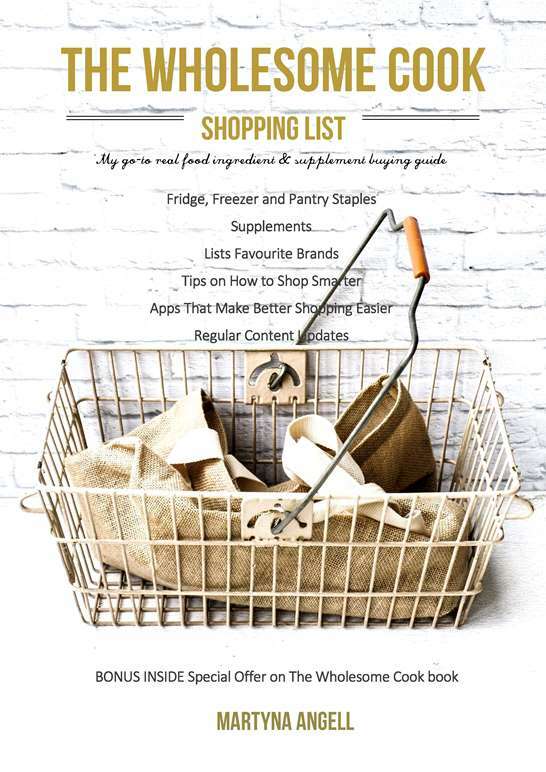 You can save a lot of money by buying no frills staples or even supermarket branded organic produce. Things to try include pasta, flour, dried fruit, nuts, coconut oil, butter, cheese, organic meat and veg – both fresh and frozen. Check out your supermarket catalogue for weekly specials. They often run 1/2 price specials which are too hard to pass by. My favourite buys are Cobram Estate extra virgin olive oil, Sandhurst ready to eat quinoa, chorizo on the odd occasion and canned veg. This tip also applies to specials on household items. You should see my stash of half-price washing powder, loo paper, toothpaste, shampoo and sanitary items. The same applies to my glass food storage containers! All half price bargains. Open any supermarket catalogue and most of the items on sale will be in the middle aisles – confectionery, soft drinks and savoury snacks. Skip those from your shopping trolley, and you’ll be surprised just how much you can save every week and how much better you will actually feel for not stocking ‘offenders’. Better mood, more energy, clearer skin and weight-loss can actually be some of the side-effects here. Having said that, my approach is not about extremes or total deprivation. If you do have a craving for something (I often do for a few squares – okay 10 squares – of plain old milk chocolate just before that time of the month) buy the smallest packet and pick a time to enjoy it, mindfully. You might actually end up eating less of it, saving the other half for another occasion. If you are planning a family movie night in, by all means go for it and indulge in your favourite crisps or why not try making popcorn from scratch? I’d avoid microwave popcorn because of the bags and the oils that you microwave the popcorn in, they spell bad news. Besides, as a child I loved watching the corn pop, listening intently and then trying to catch the odd bits that popped late. Nearly as much fun as the movie itself. Reducing meat intake is not only good for the environment, it is good for us, too. And for the hip pocket. But if you do choose to be an omnivore and have a tribe of a few to feed every night, here is what you can do and still save money. Chicken wings are perfect for broths and soups. The meat and skin can be peeled off the bone and shredded into the soup. Drumsticks can be used in the same way. Other cuts of budget-friendly meat include chuck, gravy and shoulder cuts from lamb and beef, pork belly and hocks are easy on the hip pocket, too. Ribs are a fab addition to soups or enjoyed as part of a main. Flank steak is great for grilling. See also the next big point for saving more. There is a lot of waste and dollars thrown in the heap when it comes to veggies as well. Freeze fennel fronds, leafy ends of celery sticks and green ends of leeks to add to soups. Use radish leaves to bulk out salads. Peel and slice broccoli stalks and add to pasta sauce, soups, salads or stir-fries. Peel and freeze sad-looking celeriac and parsnip to add to soups. Cook and mash carrots or beets to serve as a side for mains later. Beetroot leaves and stalks make for a fabulous soup. Become a sucker for a good bargain and extend this to the way you shop for groceries. 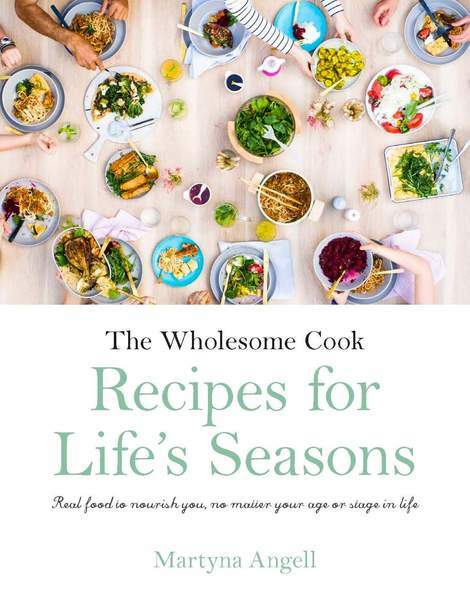 First up, armed with your shopping list, scour your grocer’s and supermarket in places where bargains live – corners of refrigerated sections which include dairy and non-dairy milks, meat and fish, specially designated shelves with fresh produce. Cross off your list all the reduced items and this will save you a bulk off the bill. Fish and meat can be frozen for 3-6 months even on its use-by date, if it hasn’t been previously. This will make for a good stash. Then there are veggies. Interestingly, the organic produce in many supermarkets gets marked down the most because it’s packaged and thus has an ‘expiry date’. LOL. Sorry. Many grocers also have a bargain area where they will put overstocked, in-season or worse-for-wear produce at rock bottom prices. Make use of those. I have also grown fond of the less then perfect produce such as Harris Farm’s Imperfect Picks or Woolworths’ Odd Bunch fruit and veg. So nice to see it not going to waste and farmers actually getting paid for their hard work regardless of how their produce looks. 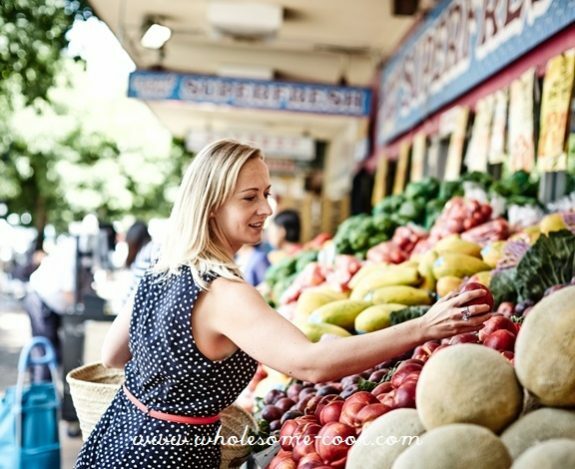 Freshest is always best so perhaps make a trip to your local farmer’s market and pick some produce from there. It will most likely be seasonal and picked fresh before the market. Your money will also be going directly to the people who grow your food. And that feels good. 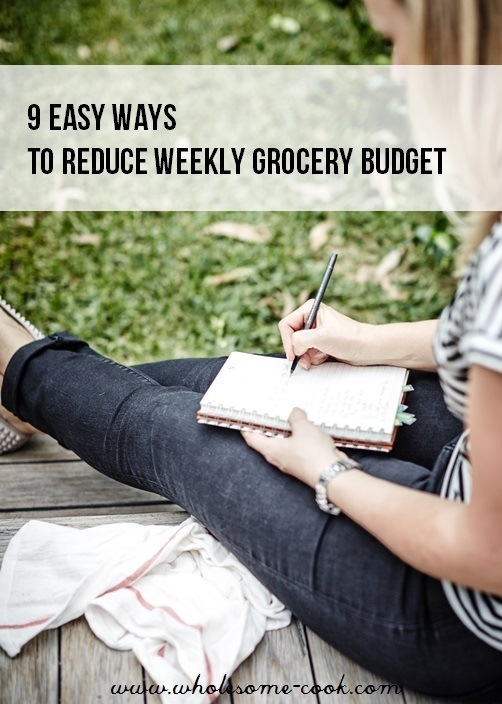 Okay, so this one might mean that you will go over your weekly budget sometimes (i.e. buying in bulk means more savings while spending more in one hit), but if the food is non-perishable or freezable, you will be saving money in the long run. I often do this with meat even though we don’t eat a lot of it, it saves money. Leftovers, divided into single-serve portions make for a quick dinner for one, take to work lunchbox or afternoon snack for hungry teens. You can also freeze diced fruit and veg for smoothies and soups. Meat, fish, seafood if it hasn’t been frozen previously freeze well, too. Butter as well! Here is my ultimate freezer list that will help you extend your food further and save $ on your groceries. Strawberries and Cream Layer Cake with ‘Paint Drip’ Icing | Mia Turns One! Your article is really useful for people like me. I do few things to save my money on groceries. First I like to buy it in a bulk so I can restore the fruits and veggies and prepare the food as I feel hungry. Another thing I like to do is to recook the food. Sometimes food will not eat completely so I restore it in a freezer and use it next day but before that I cook it with few spices and herbs and it taste delicious. Well, as you say to manage meal is tough and more important to buy such things in off season. So I prefer to use online discount coupons and deals to buy my favorite food it pt saves money and also it comes at my doorstep. Mostly I used this coupons to buy food https://www.couponsmonk.com/postmates.com. I hope it will helps you too.